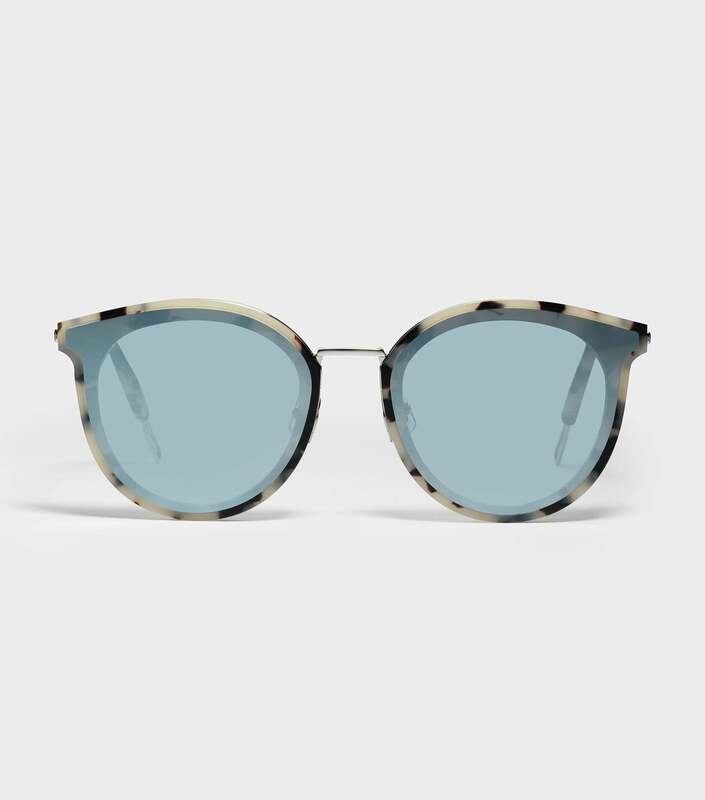 Composed of a leopard acetate and silver stainless steel front, the Cee Cee S3(11M) is a FLATBA frame that challenges conventions while maintaining practicality. 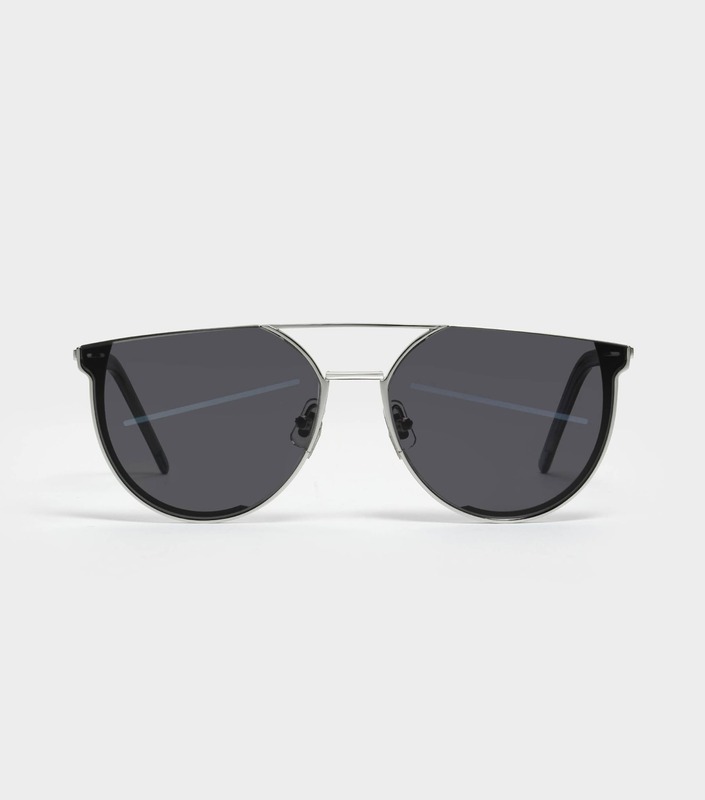 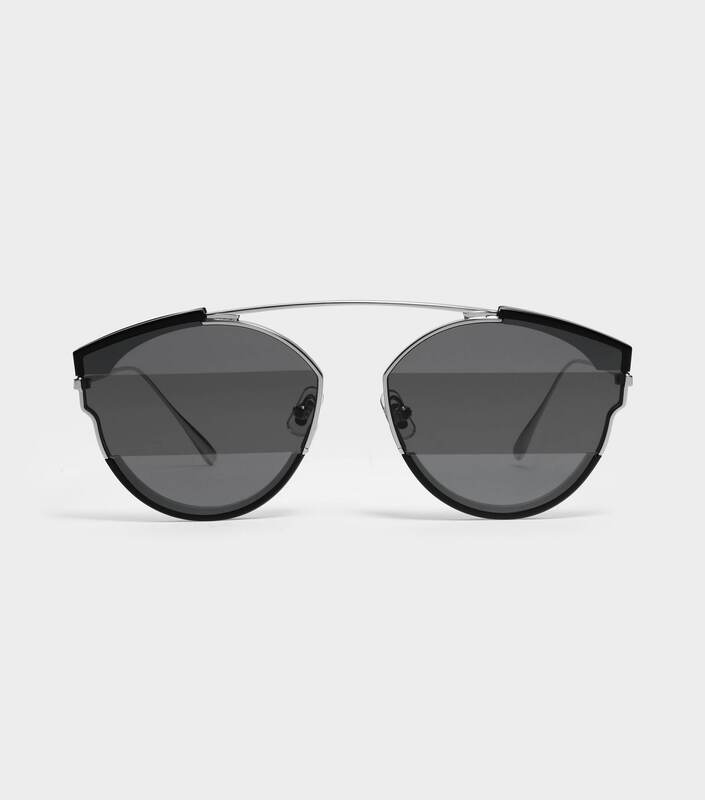 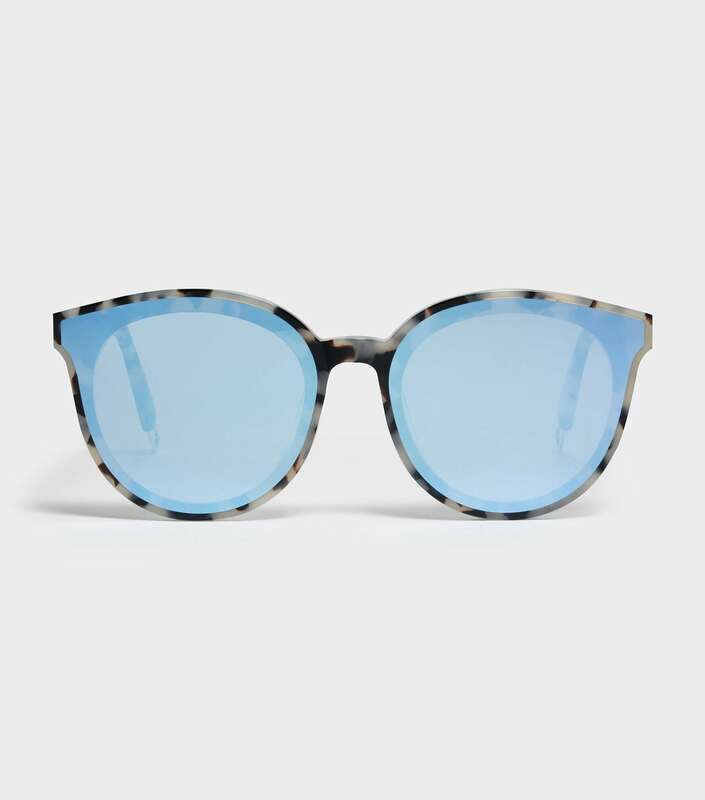 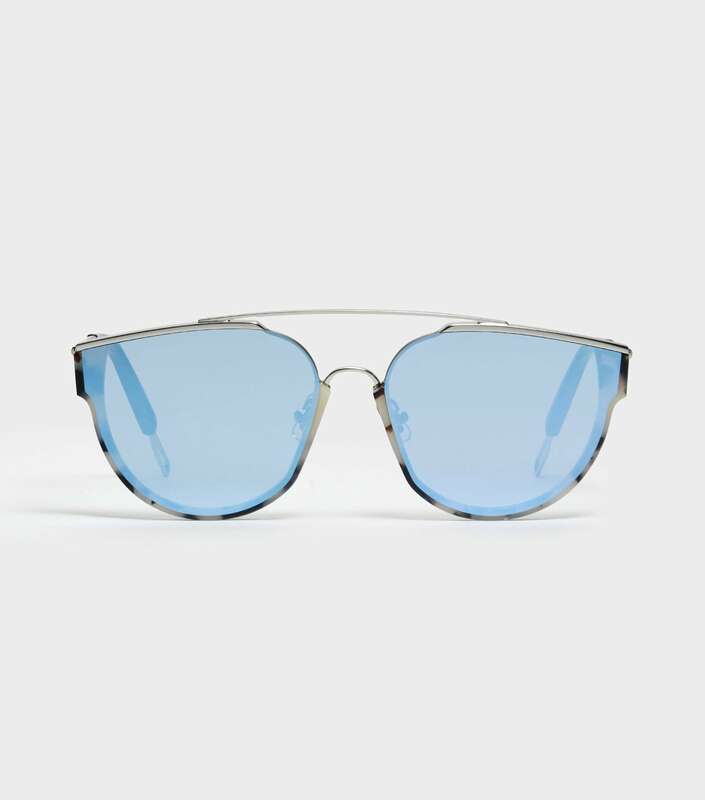 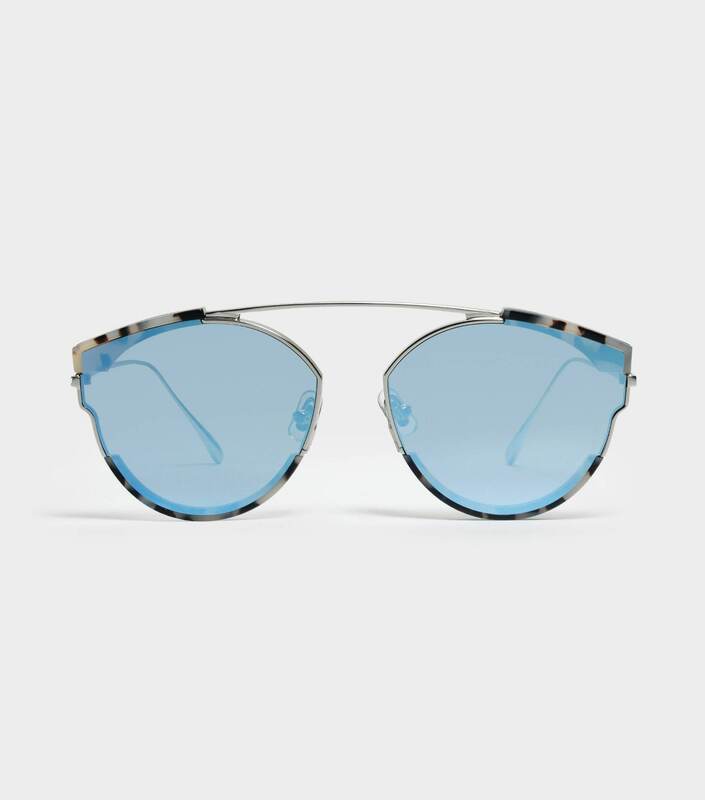 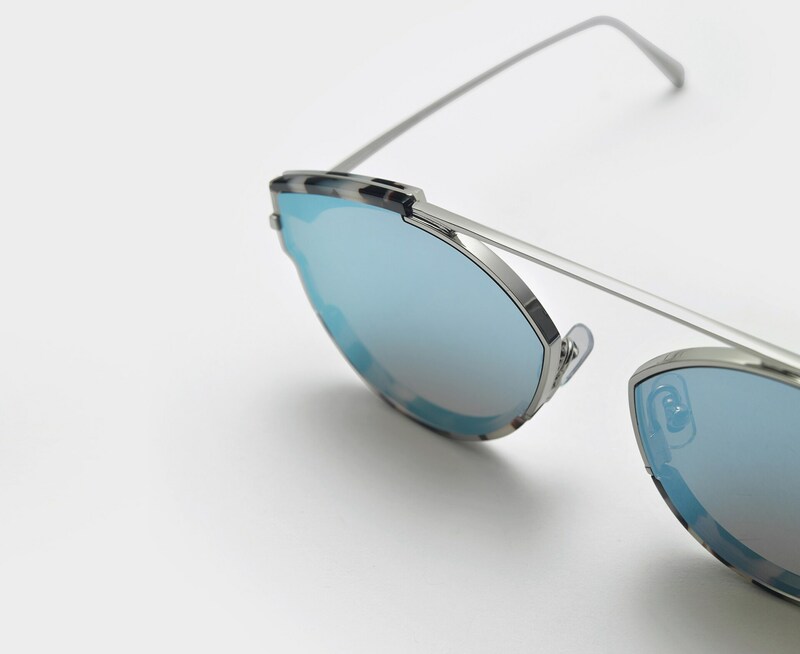 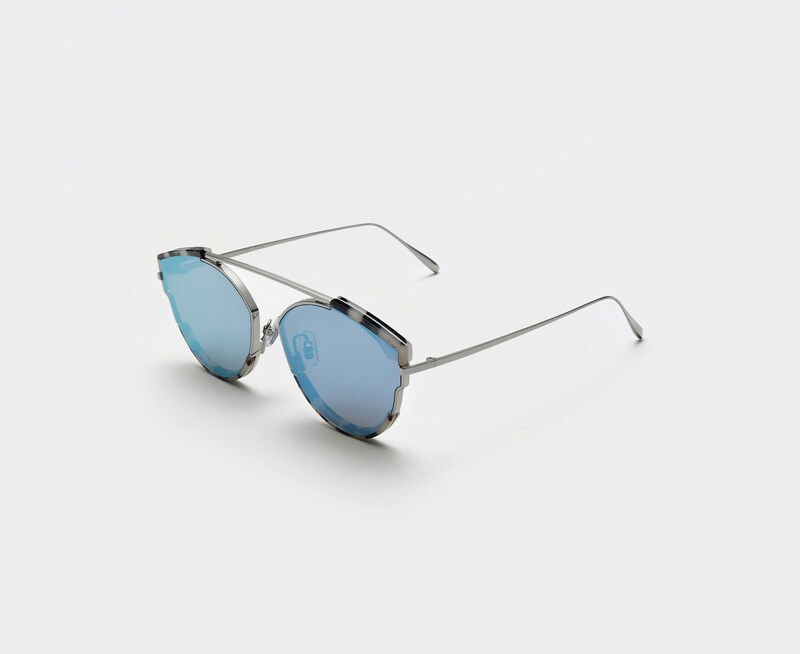 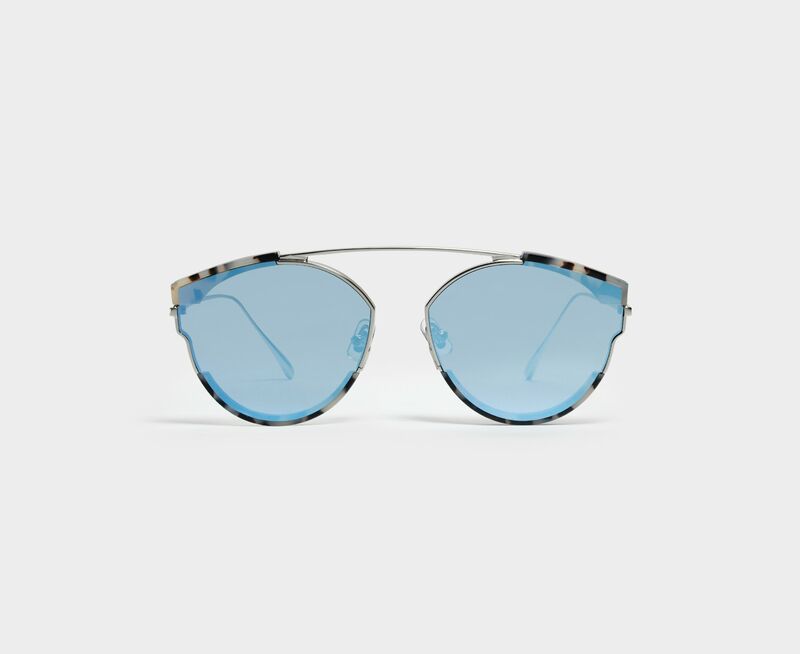 Their pacific-blue mirrored lenses are equipped with 100% UV Protection. 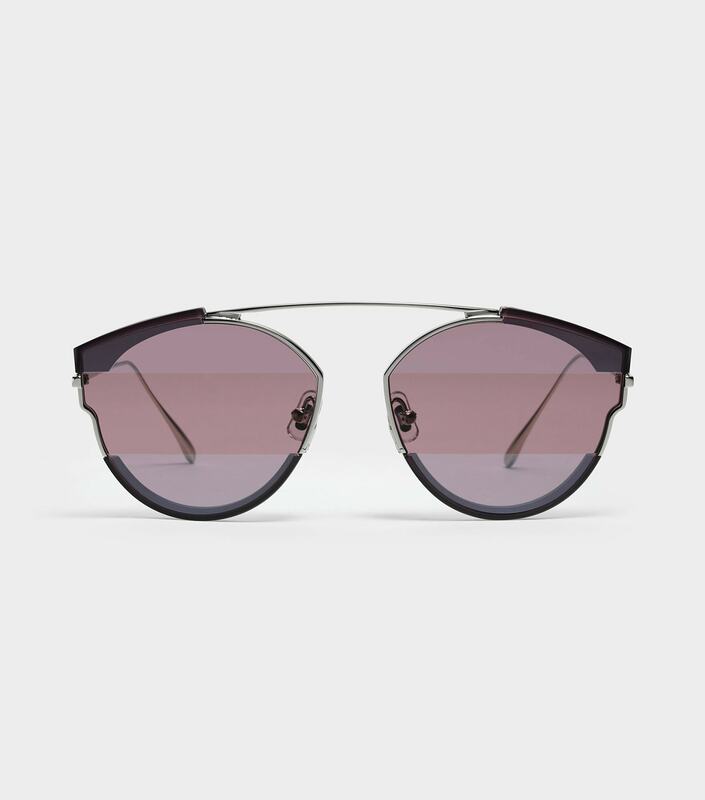 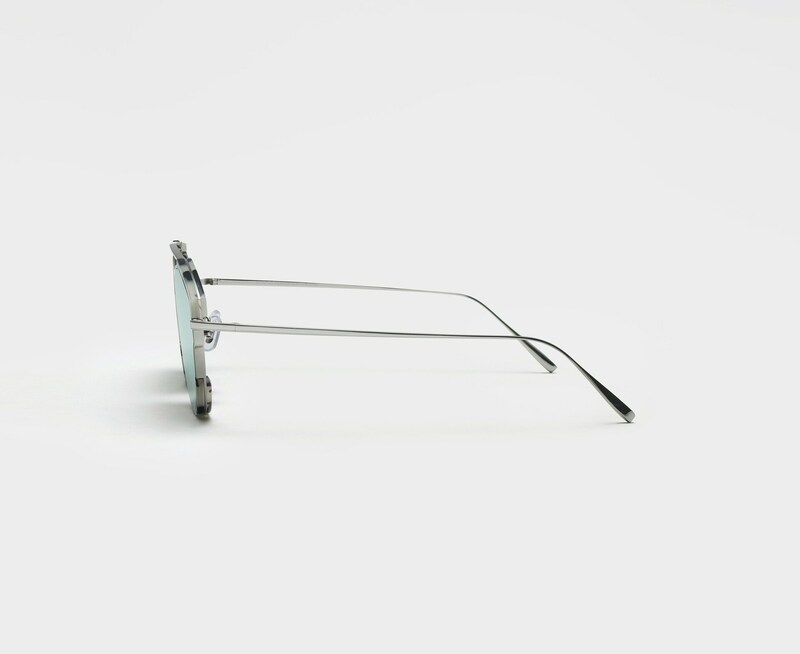 This frame also features titanium temples, acetate temple tips, and adjustable PVC nose pads.